Enjoy articles on the history and bibliography of natural history across all periods and cultures. In this issue: announcement of #TradingNature meeting in York, awards and medals, two 'good reads' on M. Maxwell Knight and razor clams of the Pacific Northwest, events of interest and new publications. The Society for the History of Natural History is an international society for everyone who is interested in natural history in the broadest sense. This includes botany, zoology and geology as well as natural history collections, exploration, art and bibliography. Everyone with an interest in these subjects – professional or amateur – is welcome to join. For a brief history of the society, click here. SHNH is known for its friendliness and provides a focal point for the history of all aspects of natural history. It has a thriving international membership and regional representatives organise local meetings. An international meeting is held at regular intervals and our next meeting #SHNH2019 is in York, UK on the theme ‘Trading Nature’ in association with the Geological Curator’s Group. The two-day meeting will examine the role of agents, dealers and commercial enterprises in the history of natural history. The Society’s main publication is Archives of Natural History, published twice a year and distributed free to members. All volumes published from 1936 onwards are available online. An informal Newsletter is also regularly published with details of forthcoming meetings, news and events, a notes and queries section, and new publications. To keep up with the latest from SHNH, sign up to our JISCMAIL list and connect via social media. 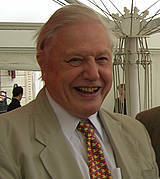 Sir David Attenborough OM CH FRS.